The first horse of the Stats Accumulator with Sky Bet comes from Limerick over the jumps in Ireland in the 13:00 over 2 miles 4 furlongs and we have selected Rapid Response to place. This Jessica Harrington trained four year old has only had one start over the jumps and she finished a positive fourth at Navan and should come on for that run today. Harrington has a superb strike rate when bringing her horses to this course and is running at a record of 20 percent. With this Robbie Power loves riding for these owners and has a 37 percent strike rate for the Potts family. 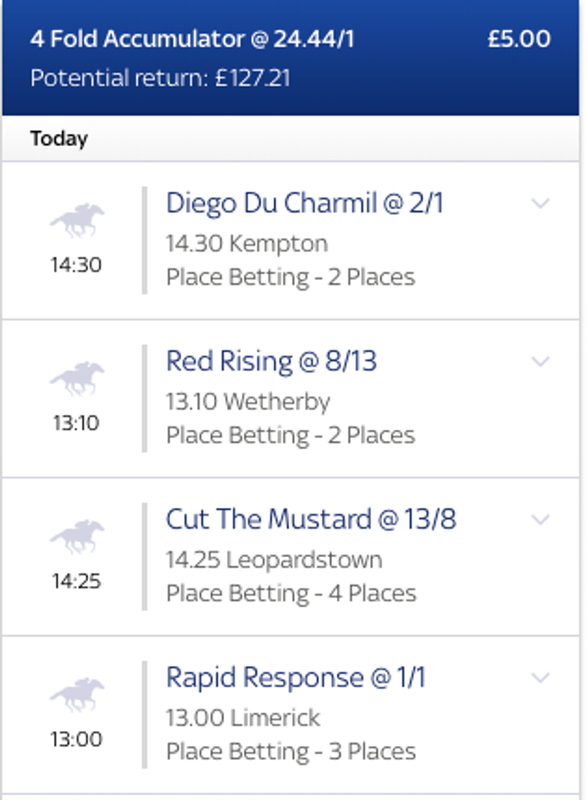 The second horse of the Stats Accumulator with Sky Bet comes from Wetherby over the jumps in the Class 4 over 3 miles 4 and we have selected Red Rising to place. This seven year old for Dan Skelton last time out looked like he was getting back in the swing of things after falling off the boil and came a good third at Huntingdon when stepped up in trip. Harry Skelton is in the saddle for his brother today and he loves coming to this track running at a strike rate of 32 percent. With this when teaming up with his brother they have a record of 22 percent with there rides. The penultimate horse of the Stats Accumulator with Sky Bet comes from Leopardstown over the jumps in Ireland in the Handicap over 2 miles and we have selected Cut The Mustard to place. This Willie Mullins trained six year old gave a spirited performance on his seasonal reappearance in a big field at Fairyhouse last time out and will come on for that run. Ruby Walsh is in the saddle for the master trainer and he is in fine fettle at the moment running at a strike rate of 43 percent for the last 14 days and when riding at this track has a 29 percent record for the year. 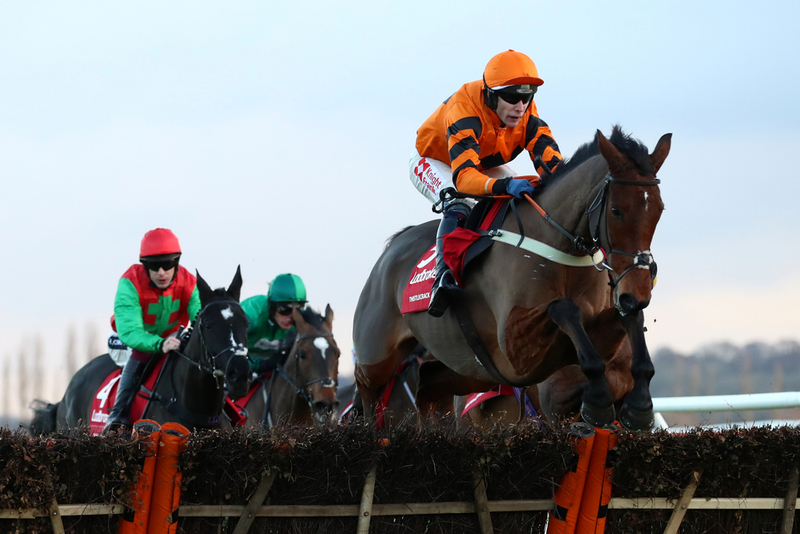 The last horse of the Stats Accumulator with Sky Bet comes from Kempton over the jumps in the Grade 2 Desert Orchid Chase over 2 miles and we have selected Diego Du Charmil to place. This six year old for in form trainer Paul Nicholls has won a Grade 1 Novice contest at Aintree last year and then on his seasonal reappearance lost a shoe and that can be discredited for the poor run. King George winning jockey Harry Cobden loves racing at Kempton and has a record of 22 percent for the year here. With this, when teaming up with Paul Nicholls they are running at a strike rate of 24 percent.